Living in the Seattle area means that coffee is a big part of everyday life here. While I love going out for coffee, there are times when brewing a cup at home is just what I want. One of my very favorite things to do is to try different brands and different flavors of coffee. I recently discovered Community Coffee and I'm so glad I did. I just love it. The taste and aroma of this coffee is excellent. The taste is rich, flavorful, and delicious. I was sent the Season's Greetings Variety Pack for our Holiday Gift Guide. Over the past few days I have been enjoying Holiday Jazz, Breakfast Blend, Cinnamon Roll, and Bread Pudding flavors. Brewing a pot of the Bread Pudding coffee smells exactly like bread pudding is baking in your oven. All of these different coffees have been a huge hit with family and friends that have came by during the recent holiday. Community Coffee offers ground, whole bean, flavored, decaffeinated, seasonal coffee and more. Bread Pudding was a favorite for many of the family and friends that tried the coffee. They offer many kinds of beautiful Holiday Gift Packs and gift ideas for the coffee lover on your Christmas list. Visit their web site at communitycoffee.com. This family owned and operated company has been in business since1919. Based in Louisiana, the Saurage family has made it their mission to produce and sell this high quality coffee for four generations. I always love getting and giving coffee for Christmas or anytime. 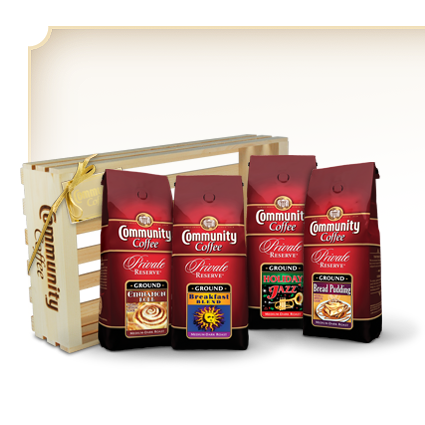 Community Coffee would be a welcome gift for anyone who love delicious coffee. 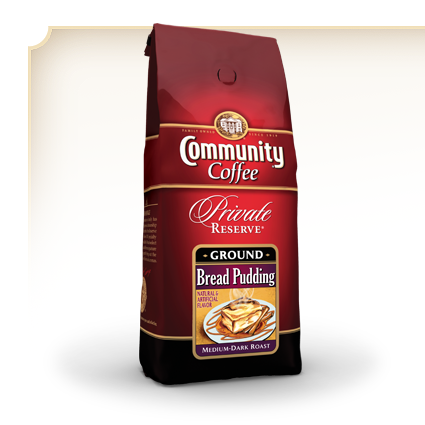 Which Gourmet Coffee flavor from Community Coffee would you love to try? I'd like the ground french vanilla. I like commmunity coffee on fb. I'd love to try Ground Private Reserve Hazelnut. 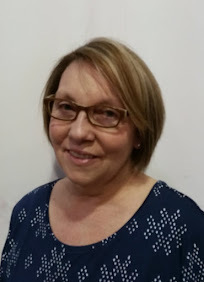 Contact info on my blog, thanks! I'd love to try this - Ground Bread Pudding. I would like to try the Cafe Solano! I'd like to try the French Vanilla! I follow @CommunityCoffee on twitter! I'd love to try the Holiday Jazz! Yum!! Thanks for entering me! 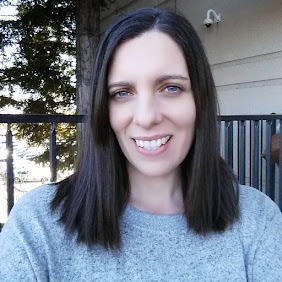 I like Community Coffee on facebook (Stacie Dennis Frost). Thanks for entering me! I like Community Coffee on twitter (@savingmama42). Thanks for entering me! Bread Pudding sounds really good!! I'd love to try the Kenya! The Hazelnut flavor looks very tasty! I follow Community Coffee on Facebook under the username likwan. I follow Community Coffee on Twitter under the username likwan. I shared this giveaway on Facebook at http://www.facebook.com/likwan/posts/339806289368777. I tweeted the requested message on Twitter at https://twitter.com/#!/likwan/status/145778428346503168. my favorite is the holiday jazz flavor!